KEN Walker is a 95-year-old ex-World War II fighter pilot, proudly from New Zealand. 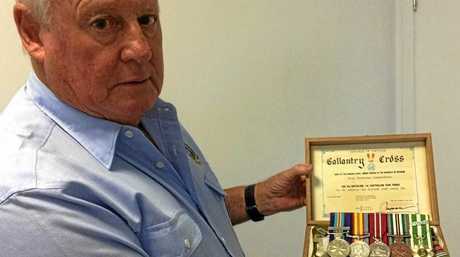 Peter Sweet is a 71-year-old Australian Army Vietnam War veteran, as Aussie as they come. 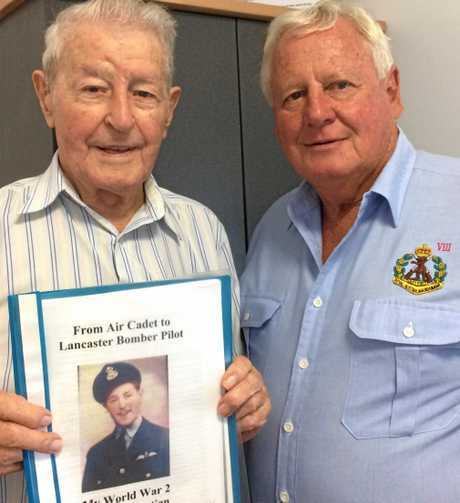 Despite their differences, the two have become mates through a chance meeting at Nerang's Liberty Community Connect, a shared love of poetry, losses and horrors experienced as young men at war, and a dry sense of humour. Peter said he had begun learning poems to entertain his kids on long car trips, but now has an anthology of Aussie bush poems in his head, and is sought-after to entertain clubs and groups. In the true spirit of Anzac, Peter has arranged for Ken, a member of Runaway Bay RSL, to be guest of honour and lay a wreath in Carrara at this year's Seachange Emerald Lakes Veterans' Group Anzac Day service, at which Peter will do the reading. Born in New Zealand in 1924, Ken described a tough childhood, having little clothing to cope with the harsh Dunedin winters, and losing his father when he was just 11 in 1935 "as a direct result of the Depression". He recalled with emotion his older brother waiting four years to marry in order to let Ken finish his secondary education. But the family couldn't afford university, and Ken started a career in bookkeeping in 1941, joining the Air Training Corp, before enlisting in the air force at 18. As a Lancaster pilot in Bomber Command, operating out of Spilsby in northern England, he and his crew survived 30 operations over Germany, primarily at night. AGAINST THE ODDS: World War II fighter pilot Ken Walker has penned his story, and will commemorate Anzac Day this year with a new mate and fellow-survivor, Vietnam veteran Peter Sweet. They were hit at least once, returning to England on just three engines, and Ken's voice still breaks as he recalls seeing his best mate Buzz's plane blown up before his eyes and other "friends going down in flames". More than 55,000 of the 125,000 aircrew members of Bomber Command were killed in action. It was in the Panama Canal, while on board a ship bound for Wellington to join the Pacific war effort that Ken learnt of the bombing of Hiroshima and Nagasaki which ended the war. "It was very hard getting back to 'civvy street', as you'd know after your tour in Vietnam," Ken said to Peter. "Service life was very intense, and it occupied your entire being..."
Despite that, and going on to jobs in bookkeeping, managing shops, the fire brigade and taxi driving, Ken said those who fought remained reluctant to talk about their experiences. "But I'm glad I wasn't over there ... (Vietnam)," he said. While it was a very different war, and for Peter the fighting much more immediate than from the air, he sees many similarities in their experiences. "They were young men, average age 19-24, over there with quite limited training because the war needed them now," Peter said of Ken's experiences. "That's what we had; all our officers were very young and I was an old man at 21 or 22." He was still 21 in February 1970 when his Eighth Battalion, known as the Grey Eight, fought the little-known but influential 13-day Battle of Long Hai in which 11 Australians died and 59 were wounded. "I didn't think I was going to have another birthday," Peter said with a shake of the head. 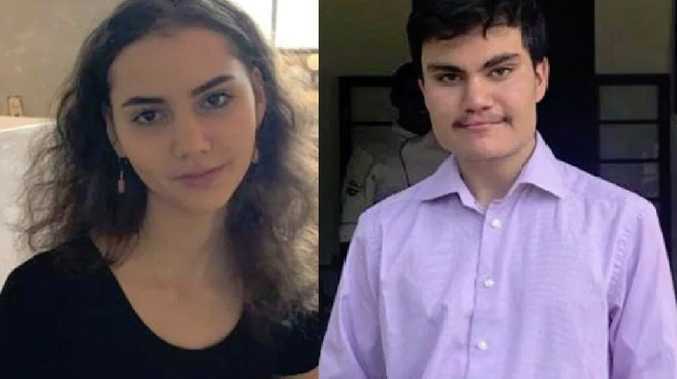 They fought at night in the jungle, peppered by unseen snipers, across land littered with mines, against an enemy who could be soldiers or Viet Cong sympathisers whom they had known during the day simply as villagers; teenagers, shopkeepers, the high school headmaster. It is little wonder these men generally found it hard to settle, impossible to talk about their experiences to anyone but fellow soldiers, and many suffered post-traumatic stress disorder on returning home. It's a diagnosis Peter still denies, despite saying he can't even look at words containing the letters V, i and e without reacting. "But they say denying it is a sign you have it ... so you can't win with these people," he laughed shakily. Four of his mates have committed suicide. He recalls soldiers being advised back in Australia to get out of their uniforms and not tell anyone where they had been, and being challenged even at a family barbecue as to whether he should have been fighting. For Peter, Anzac Day is "not about celebrating war, it's about celebrating surviving ... coming back". "I wear my medals with pride," he said. "We saw the worst of life, the worst of a lot of things, but it made me who I am today." If this story has affected you, phone Lifeline on 131114 or Open Arms for veterans and families on 1800011046. The story of the Grey Eight is told in Combat Battalion by Bob Hall. To find out about the friendship and services at Liberty Community Connect, phone 0755781668.